Guwahati based alternative rock band Digital Suicide give away its self titled debut EP, DIGITAL SUICIDE, for Free download. The band DIGITAL SUICIDE consists of Daniel Langthasa on lead vocals and guitar, Deepak Borah on backing vocals and bass guitar, and Ratan Bordoloi on drums and percussion. 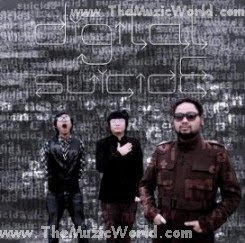 Digital Suicide’s music can be described as refreshing blend of alternative rock music, grunge, punk with a touch of old school bollywood music. DIGITAL SUICIDE is quite famous for its energetic live performances in Guwahati’s music scene.Digital Suicide’s debut offering is very impressive, watch out for this band in days to come.